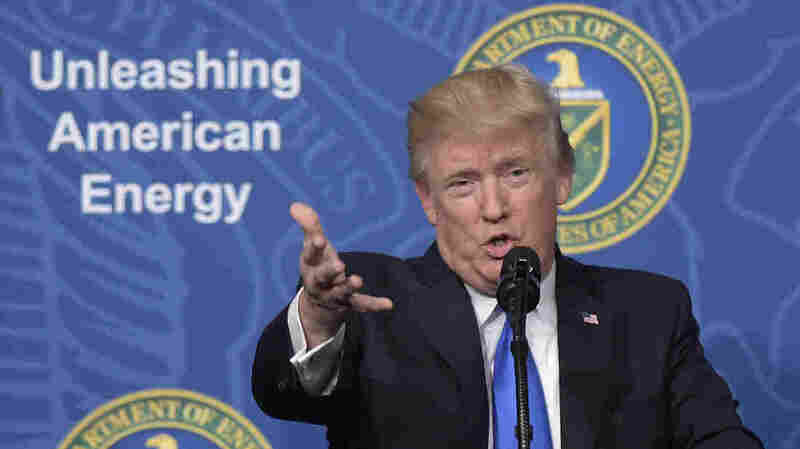 Trump's Busy Year On Energy And Environment President Trump and a trio of Cabinet members have made headway in their campaign for American fossil fuel "energy dominance." This might slow renewable energy, but it won't bring back coal. President Donald Trump speaks at the Energy Department in Washington, on June 29, 2017. 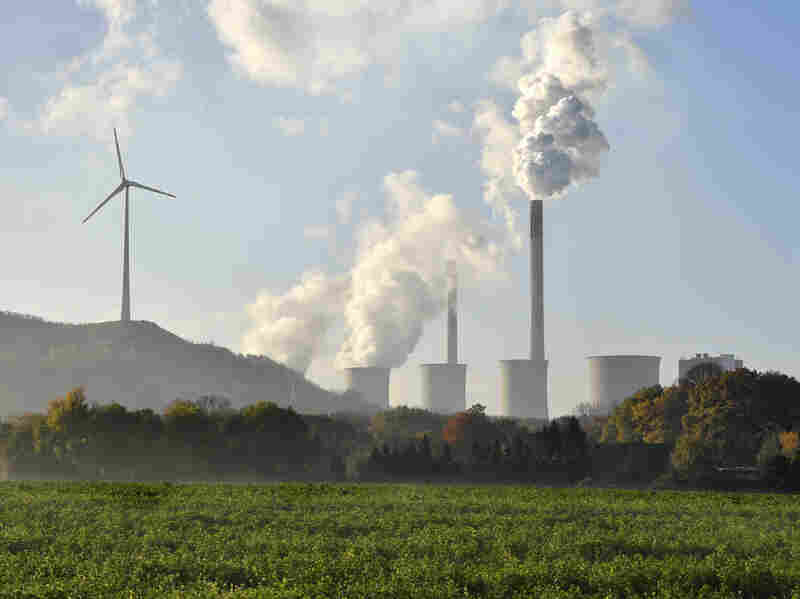 A coal-burning power plant steams in Gelsenkirchen, Germany, while the 23rd UN Conference of the Parties (COP) climate talks end in Bonn, Germany on Nov. 17, 2017. 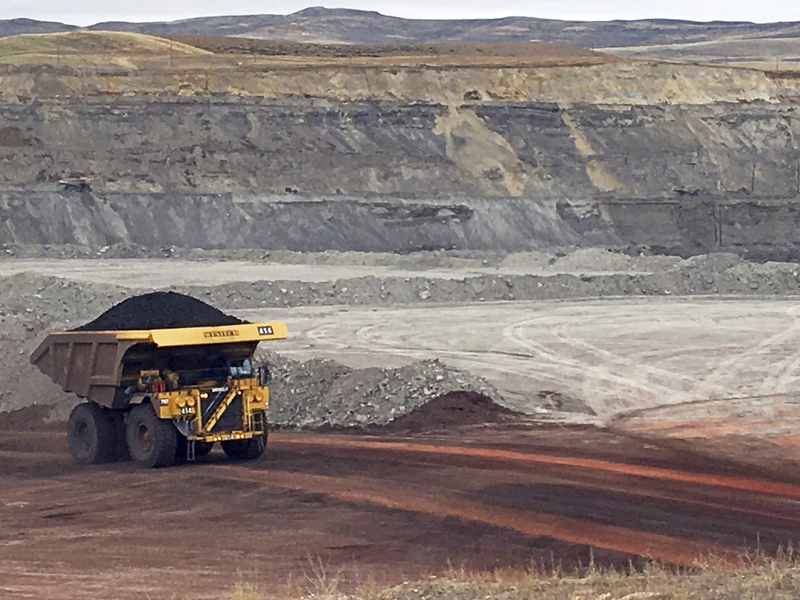 A dump truck hauls coal at Contura Energy's Eagle Butte Mine near Gillette, Wyo. 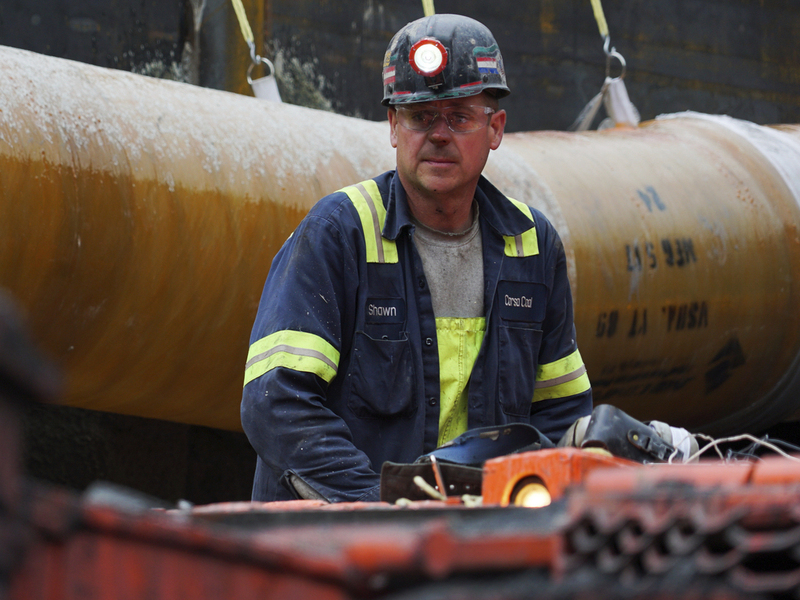 A coal miner in Friedens, Pa., on June 7, 2017. 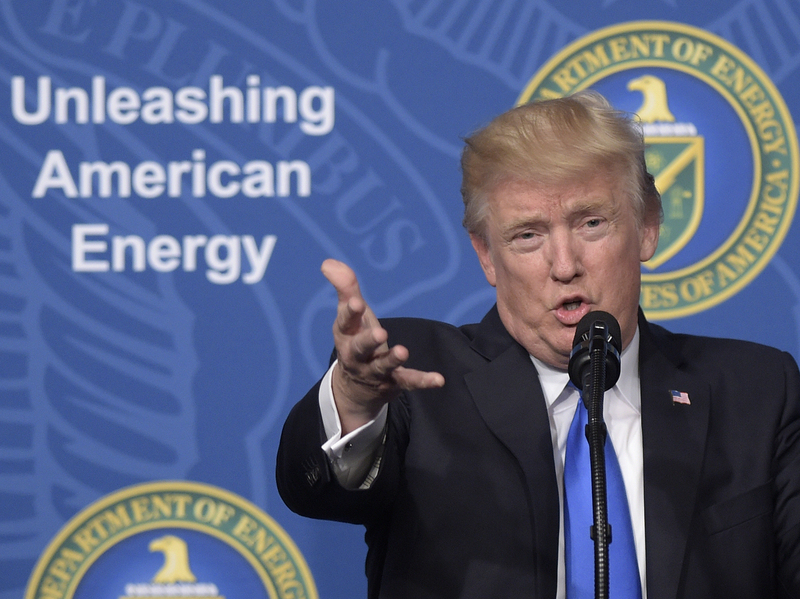 President Donald Trump referred to the mine's opening during a speech announcing his intent to withdraw from the Paris climate accords.